ASIAN GARDEN MALL 2016 SUMMER NIGHT MARKET IS BACK ON JUNE 17! - EAT WITH HOP! Home / CA / EVENTS / ORANGE COUNTY / WESTMINSTER / ASIAN GARDEN MALL 2016 SUMMER NIGHT MARKET IS BACK ON JUNE 17! 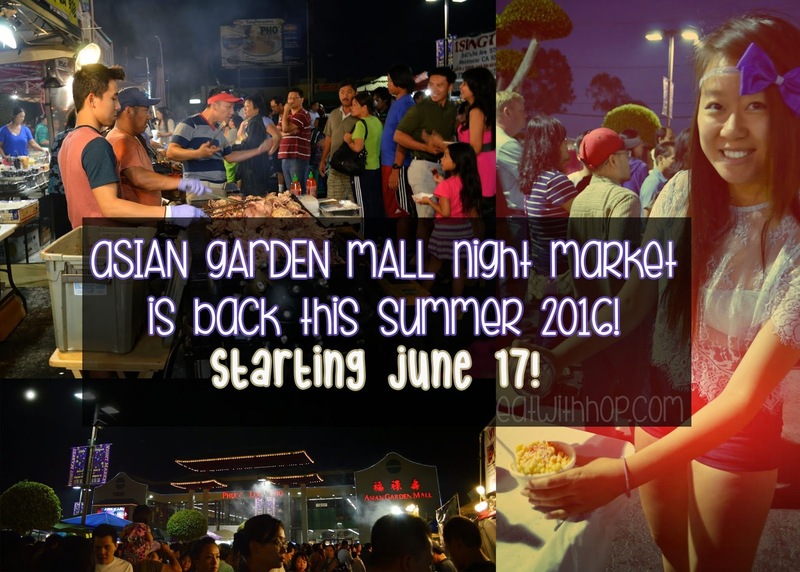 ASIAN GARDEN MALL 2016 SUMMER NIGHT MARKET IS BACK ON JUNE 17! So apparently the official website for Phuoc Loc Tho / Asian Garden Mall is down... I don't know why but it won't load?! So I can't tell ya the exact dates. But if you just drive by the place right now they have a huge banner announcing the date and times! I know it for sure will start on June 17 and will run every Friday - Sunday from (? )pm - 11pm (OR 12am?!) for the summer. I'll update this once I know the dates! I love the Happy Bee's version of the Ramen Burger because the ramen bun is crispy and actually stays together allowing the entire burger to stay intact! So you can eat it like a burger with yo hands! Here is my experience on the 2014 night market!